One of the best parts about this crochet designing gig is the people. Yes, people. I have met literally thousands of folks around the globe with whom I share a common love of yarn, hooks, creating, and color! So, with the new year approaching, I thought of a way to connect better with you and decided to conduct a temperature blanket CAL throughout next year! 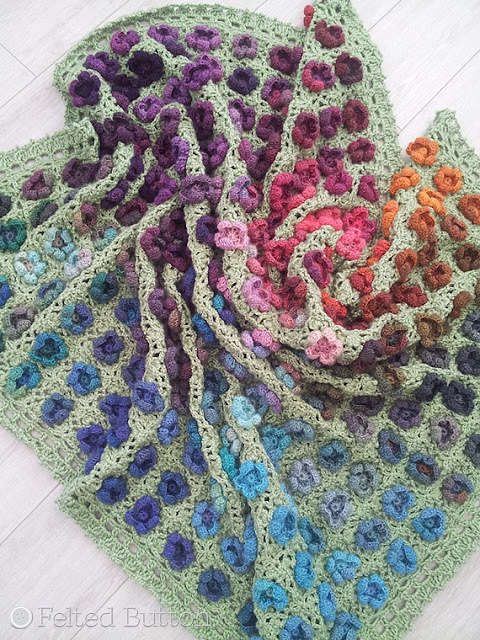 CAL stands for Crochet-A-Long and is a fun and interactive way to be working on a common project at the same time with other like-minded folk. I have set up a Facebook group where we can chat about yarn, colors and pattern choices, share projects/progress, and talk about the weather. Why weather, you ask? See #2. 2. What is a temperature blanket? Typically a temperature blanket is worked in varying colors of yarn depending on the daily temperature (high, low, average, both...) of where you live. You can choose the color range and temperature ranges for each color depending on your climate. If you are in the US there is a good site to see temperature ranges by state/city here. If you want lots of color make your ranges small--if you want just a few, make your ranges bigger. (I'm thinking that because of the temperature range in my neck of the woods and because I love lots of colors, I'll probably have 5 degree increments which give me about 18 colors.) You do what works for you. Bust that stash and have fun! By the end of the year--or whenever you want to finish--a unique and "story-telling" blanket. You can use any Felted Button blanket pattern (free or premium, your choice). Since I'm a bit obsessed with blankets, you have a LOT to choose from. You can browse in my Ravelry shop here. You should also join the Facebook Felted Button Temperature Blanket CAL group here. Just click "Join" and when approved read the group rules posted in the Files section at the top of the page. You might also want to read through the feed for any info that might help you. 4. How long does the CAL run? Do I need to do it for the entire year? Most folks like to get a look at the entire year in a blanket. But that is not necessary. Part of it depends on the pattern you pick, part of it the number of colors. Again, you choose and have the flexibility to do what works for you. For example, one woman wanted to make them as small baby blankets, but 365 rows of almost any size hook/yarn makes a very large blanket. So she came up with a plan to make several smaller baby blankets. And if a blanket is more than you think you have time for--make a scarf--as they have much narrower rows. You could also pick two significant dates to you and work a row for each day in between them. Flexibility and a little creativity! That's the key here! 5. What yarn should I use? Do I have to use the yarn suggested in the pattern? Where is a good place to get yarn? Can I just use yarn from my stash? You can use any yarn you prefer. Keep in mind the cost, size of your blanket, availability of colors, yarn weight, etc. 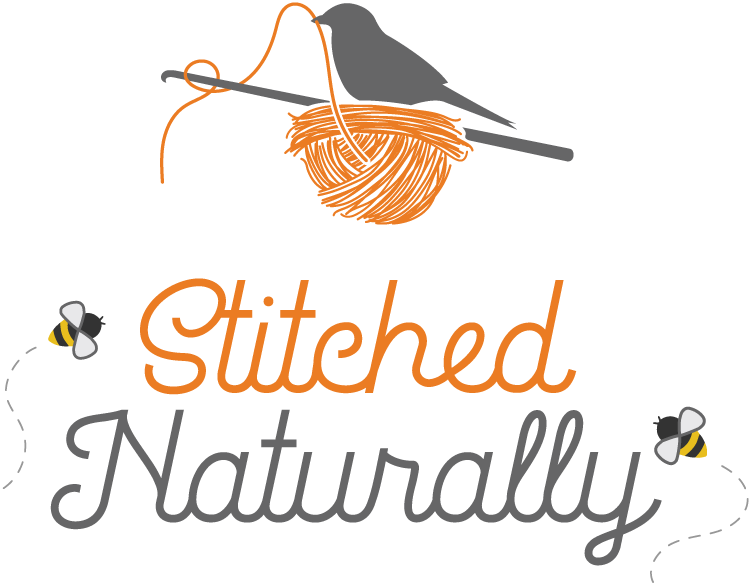 If you are like me and have a bundle of yarn in your stash--use that! But keep in mind that depending on the weather, you might need more of a particular color, so it should be relatively easy for you to get your hands on. 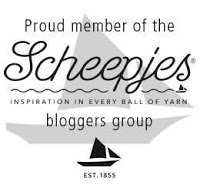 If you are looking for ideas for yarn in your area that are substitutes for what is suggested in the original pattern, check out this site, yarnsub.com. Type in the yarn you want a substitute for, and the site suggests others that are similar in weight, fiber content, etc. I get a lot of my yarn from out of the US via *Wool Warehouse or *Deramores. I particularly like them because they ship quickly, have great yarns and better color selections than I can find in my local stores. They also often provide discounts to ship for free if orders are over $50. 6. What should I consider when choosing a pattern? You should choose one you like and that you will actually enjoy working. This one really suits for simplicity, speed and would look great with a bunch of colors. Plus, it's essentially a one row repeat--easy peasy to remember without checking the pattern frequently. Multiples included for adjusting the size, too. The Circle Takes the Square Blanket could be really fun if you wanted to do a high and low temp. You could work the inner circle with the low and the outer with the high--it would really mix colors up and could be super unusual! I think this one could be terrific, even worked in long-color runs like the sample. You can store the motifs on skewers or knitting needles to keep them in dated order before joining, or group them by color at the end of the year. This one is join-as-you-go, so you can also join them each day and just watch what builds. The Let's Twirl is join-as-you-go, too. Each little motif could be added across a row and made to any size you want! There is a lot to be loved about this design for a temperature blanket. Each row is very short as it nestles into the row below, so if you are worried about getting all 365 rows in without your blanket being ridiculously huge, this is a good choice. The multiples is included to adjust the width as you desire. Flying Colors is a textured join-as-you-go blanket with small enough motifs that you can work them up in just a few minutes. I think this design could really make a pretty effect with the changing temps throughout a year. Another join-as-you-go that would be pretty with randomized colors. It would be fun to see how it came together with lots of different colors! When you are making your pattern choice, please consider the skill level, special techniques (like join-as-you-go), etc. This information is found in each of the Ravelry listings. But the Facebook group is also a good place to get ideas and feedback from others. Obviously the ideas above are only a few. I really look forward to finding out what clever ideas you come up with, seeing the colors you choose and enjoying this project together! Hop on over to the Facebook CAL page here and join in the fun! If you have more questions, that's a great place to ask them. If you don't follow me on regular social media spots, you can find Felted Button on Facebook here, Instagram at @FeltedButton and Pinterest here. Speaking of Pinterest, if you are needing a little color inspiration, I suggest following my Colorful World board. 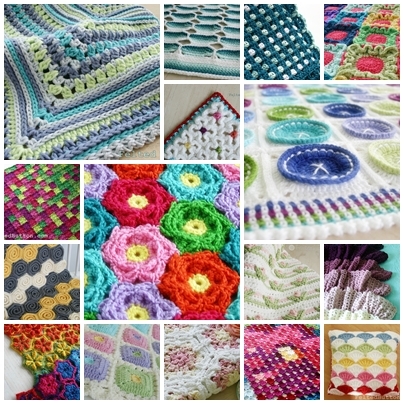 I am constantly searching for color inspiration that you can use for your temperature blanket and other projects and pinning them there. Happy Hooking!! I look forward to getting to know you better during the CAL! *This post contains affiliate links identified by the asterisk. Thanks for your support. Thank you! I do love blankets...and color! I'm excited to think of doing a Cal blanket!!! I saw a pattern months ago on Felted Button that I want to use. Not absolutely sure yet, though. Do we start on Jan 1? Wonderful! It would be fun to have you join. Most folks start on Jan 1, but you can start whenever you wish. I have someone doing a blanket from the temps the year her adult daughter was born. It really doesn't matter. Let your creativity run wild and do what inspires you! Prächtige Häkeldecken zeigst Du uns! I chose the Plaited Throw... love the pattern! To be sure I'm understanding this... I choose a temperature range and decide on the increments so I have a "pool" of colors to choose from, based on the temp for each day? Do I do one row for the low and one for the high for that day? I had never heard of a temperature blanket... LOVE the idea! Yes! You can do it however suits you. I'm going to do just highs which means a pair of 4 inch rows per day. But high and low would make for a larger blanket. It's up to you! There are so many fun ideas rolling in the Facebook group, so I sguest joining! Glad you are going to join along! Either would be great, I think! It will, but it will be huge if you do a row a day. Maybe averages, or two separate blankets. Hiya, I have decided to a temp blanket to celebrate my mums 70th birthday in May. I was thinking of doing a row for the temp on her birthday for the last 70 years. Do you know of any websites that I could use to find historical weather data?? In other parts of the world, I'm not sure, but there are lots of folks working my patterns in my Facebook group doing historical blankets around the world who could help, I'm certain.